The Healthcare Law group of Davidoff Hutcher & Citron has a strong contingent of healthcare attorneys with in-depth knowledge of the healthcare industry. 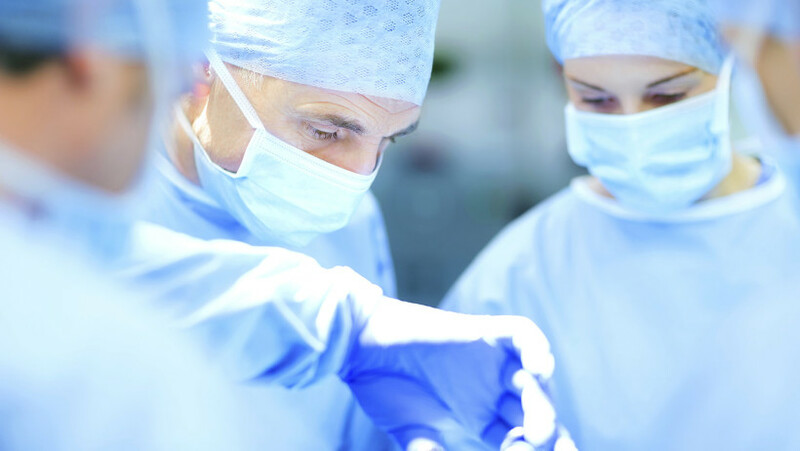 This enables them to counsel a broad range of healthcare providers, including hospitals, physician groups, physician/hospital organizations, independent practice associations, diagnostic and treatment centers, office-based and ambulatory surgery centers, inpatient and outpatient facilities, academic institutions, individual, group and multidisciplinary practices, and businesses servicing the healthcare industry. DHC’s Healthcare Law group attorneys are also experienced in areas of professional practice formation and corporate structure, professional and facility licensing, health law and regulatory compliance, practice purchases and sales, litigation, alternative dispute resolution and regulatory defense, as well as human and contractual matters. Lawyers in our Healthcare Law group understand the complexity and challenges of operating a business in the highly regulated healthcare field through practical knowledge gained by actually working in operations and administration within health care facilities. This experience enables DHC to provide a unique perspective on our clients’ issues. The DHC Healthcare Law group represents clients such as health systems and hospitals, skilled nursing facilities, assisted living facilities, mental health facilities, home health agencies, diagnostic and treatment centers, imaging and diagnostic testing facilities, ambulatory surgery centers (ASC’s), office-based surgery centers (OBSC’s), physicians and medical professionals, group practices, and psychiatrists and other mental health professionals in all legal aspects of their business operation. Lawyers in our Healthcare Law group routinely assist clients in the formation of business entities. They are knowledgeable about regulations that specifically govern the corporate structuring of healthcare industry businesses, such as those prohibiting shared ownership. In addition, the lawyers in our Healthcare Law group have experience in developing integrated business models that enable different practice groups to work together collaboratively even though they cannot share ownership. As our clients’ businesses growth objectives change, we counsel on expansion related transactions, such as private placements, business mergers, practice and facility acquisitions, real estate purchases and financing, as well as divestitures. Healthcare laws and regulations often make facility and practice purchases, as well as purchase and sales transactions, more complicated than traditional business transactions. Lawyers in our Healthcare Law group have expertise in all aspects of practice purchases and sales. We not only work to ensure that transactions comply with applicable healthcare law, but also assist our clients in practice valuation, negotiating and drafting comprehensive purchase and sale agreements, and assignments of leases, transfers of real estate property, tax implications, staff retention, and other matters to facilitate a smooth transition for sellers, buyers, staff, and, most importantly, patients. Clients often turn with confidence to our healthcare lawyers for human issues and review, negotiation and drafting of management agreements, physician-hospital agreements, and other employee and staffing agreements. We also have experience with technology agreements and equipment purchasing and leasing. Lawyers in our Healthcare Law group perform all necessary corporate filings, establish and maintain corporate governance programs, and work with the firm’s Corporate Law group in order to comply with securities regulations and compliance issues. As part of our Healthcare Law practice, DHC attorneys also counsel healthcare facilities in obtaining required accreditation and licensing, and physicians and medical professionals on licensing matters, including credentialing. In addition, our Healthcare Law group has successfully represented clients in obtaining Certificates of Need for the development of healthcare facilities and services under Article 28 of the New York Public Health Law. Lawyers in our Healthcare Law group represent healthcare businesses and medical professionals in regulatory and disciplinary matters that may threaten their accreditation or licensing. We represent clients in defense or appeal of HIPAA and other compliance auditing, peer review, allegations of misconduct, fraud or crime, mental health issues, and investigations by medical boards, Office of Professional Discipline (OPD), Office of Professional Medical Conduct (OPMC), Office of the Medicaid Inspector General (OMIG), and other government regulatory agencies.